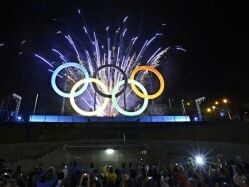 With six medals, the London Olympics was India's best ever. And when India's medal winners returned home, the fans made sure their heroes received a grand welcome. 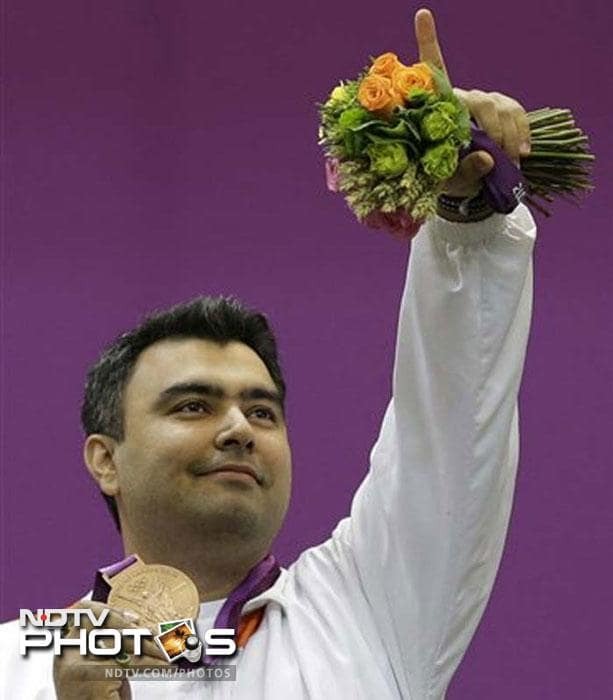 Indian rifle shooter Gagan Narang opened the medal count for India in the 2012 London Games by winning the bronze medal in the men's 10-metre air rifle event. 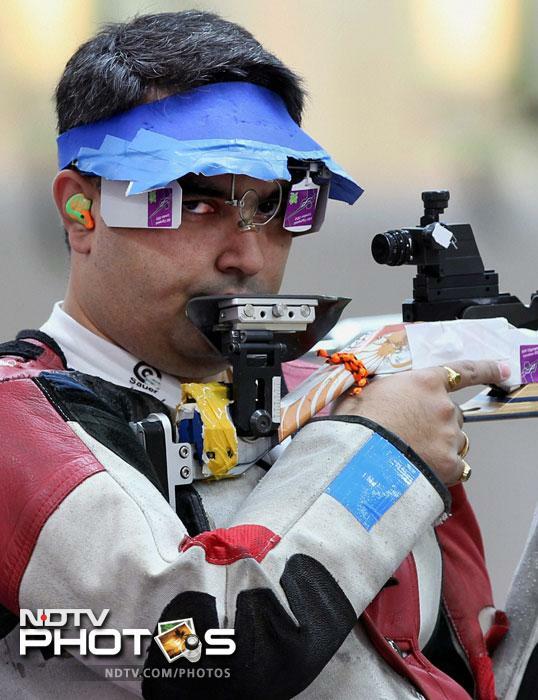 He scored better than his compatriot and defending champion Abhinav Bindra, who even failed to qualify for the final event. And when he returned, Narang was accorded a grand welcome in Pune. He was also felicitated at his academy Gun For Glory. It was not Saina Nehwal all the way in the match may be, but for Indians it hardly mattered as she got the bronze amidst disappointing circumstances. 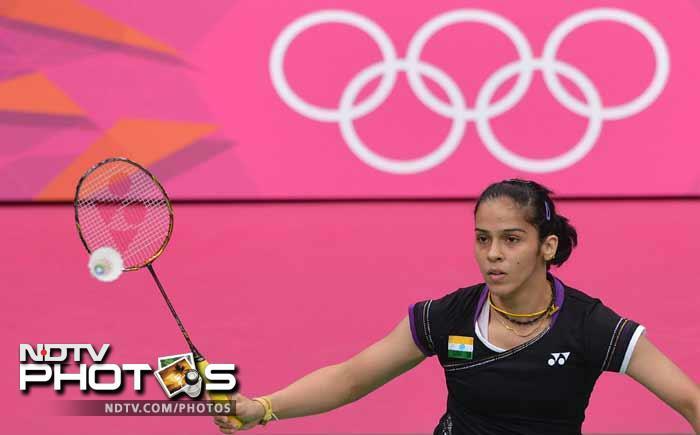 Saina was trailing 18-21, 0-1 when Xin Wang, the World number 2, forfeited the match owing to a knee injury. 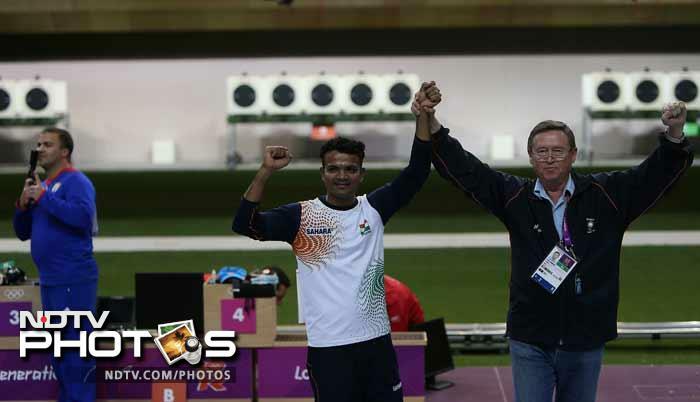 In true sportsman spirit though, the Indian did not break into any celebration despite getting the medal. 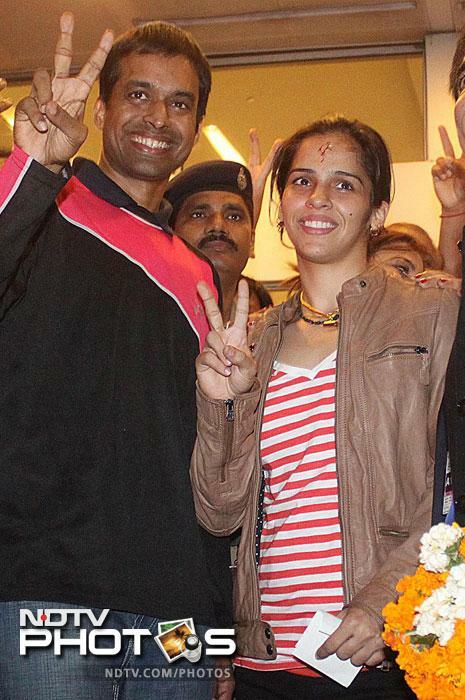 Saina Nehwal poses with the victory symbol with her coach Pullela Gopichand following her return. She was also felicitated in Hyderabad. 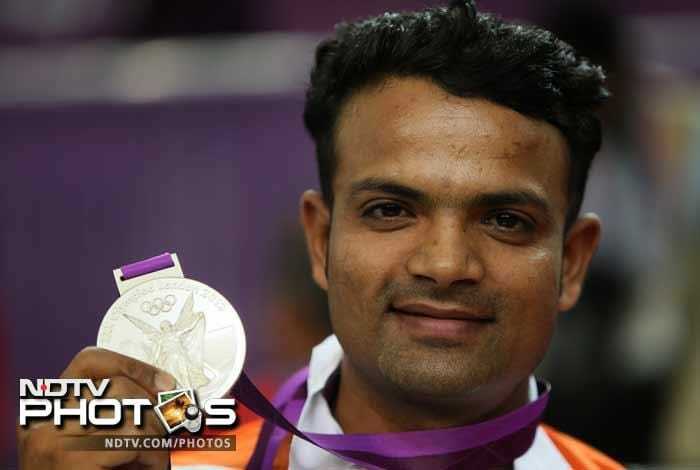 Vijay Kumar won his first Silver medal and India's second medal in the London 2012 Olympics in the 25 metres Rapid Fire Pistol event. Vijay Kumar was not expected to bring a medal and maybe this helped him to focus more on his game rather than be surrounded by the hype. 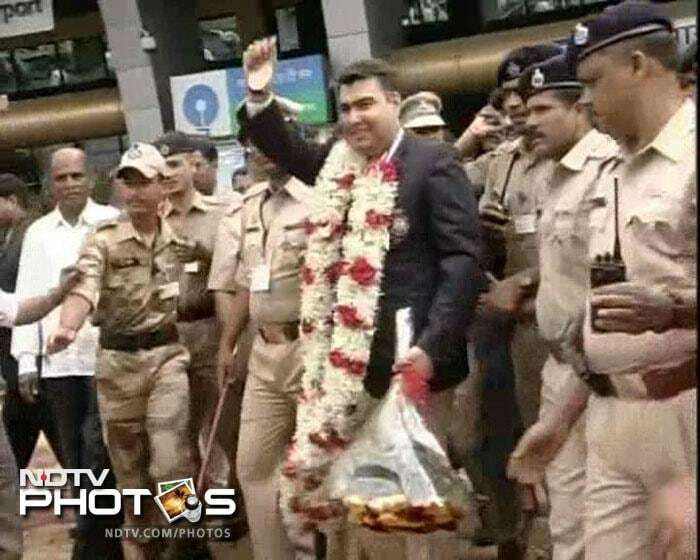 Vijay Kumar was greeted with a hero's welcome from family members, fans and Army officials on his arrival at Indira Gandhi International Airport in New Delhi. 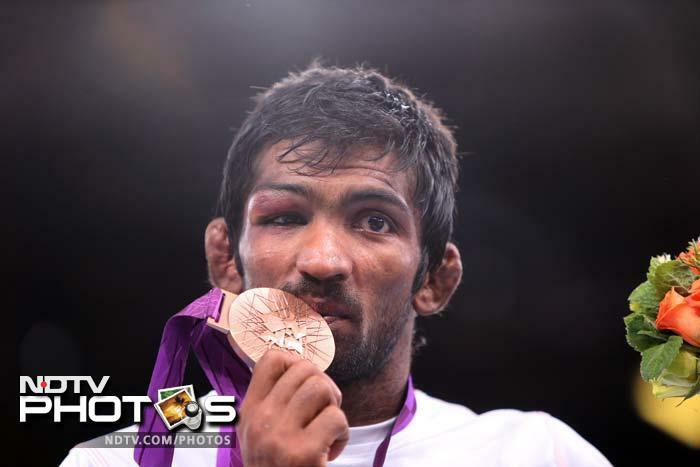 India's Yogeshwar Dutt showed he has the skill and stamina expected of an international wrestler to claim the Olympic bronze medal. Yogeshwar fought back strongly in the repechage rounds to notch up three successive victories in the space of less than an hour to provide India its fifth medal. Yogeshwar Dutt gestures on his arrival at IGI airport in New Delhi. 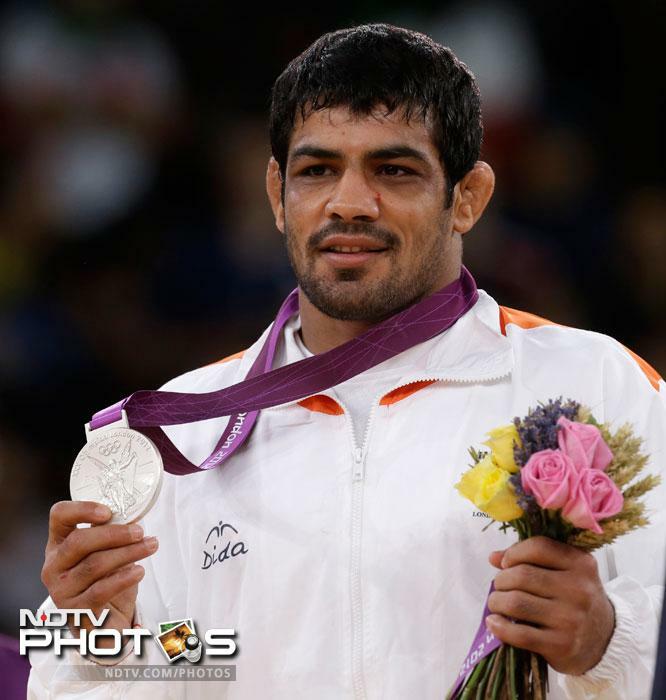 It was glory for Sushil Kumar at the London Olympics 2012 as he won a silver medal after losing to Japan's Tatsuhiro Yonemitsu in the final of the 66 kg freestyle wrestling event. The day started well for Sushil Kumar as he defeated reigning world champion Ramazan Sahin to progress to the quarters. 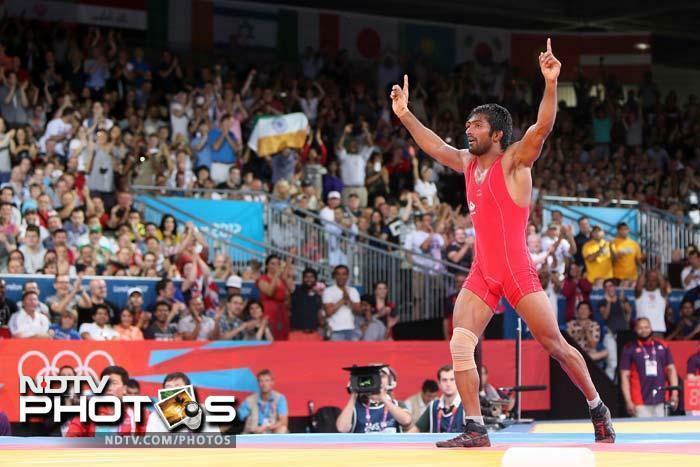 Sushil beat Ikhtiyor Navruzov to enter the semi-finals of the 66 kg freestyle wrestling event at the London 2012 Olympics. Akzhurek Tanatarov had handed Sushil a loss at the Asian Qualifiers last year but this time Sushil got his revenge and progressed to the final and set himself up for a certain silver and a possible gold at in the 66 kg freestyle wrestling event at the London Olympics 2012. 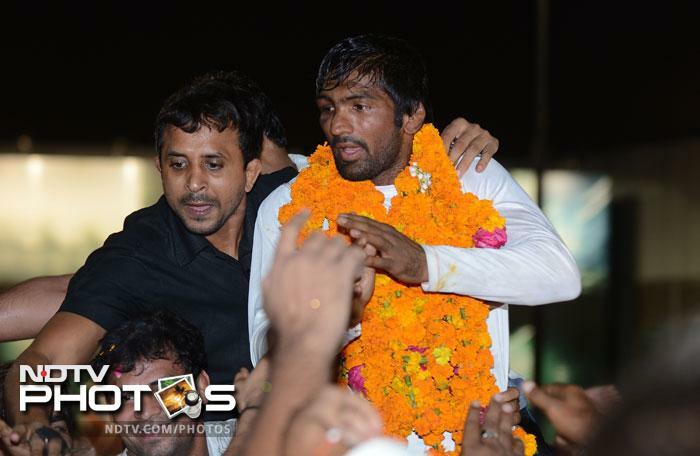 Sushil Kumar got an overwhelming welcome on Monday night at the IGI airport in New Delhi. MC Mary Kom is not only the first Indian female boxer to win a medal at the Olympics but also the only Indian boxer to fetch a medal at the London Games. 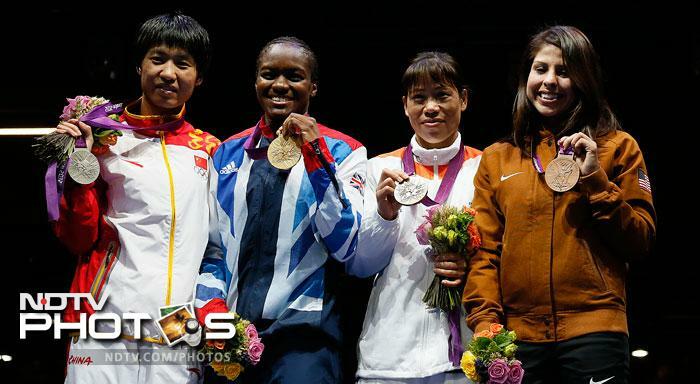 She lost her semi-final bout against Britain's Nicola Adams. Hundreds of cheering fans welcomed Mary Kom at the Delhi airport, breaking into an impromptu jig in which the boxer also participated.